T’is the season of checking our lists and doing our best to balance the Holiday 2016 demands of giving and celebrating. A simple check list works and I thought I would share a few tips on creating an artful calendar and list. 1. Use your favorite calendar to write down obligations and appointments. 2. Try using red, green, gold and silver pens to write your lists! Make it fun and happy. 3. Pace yourself by using sticky notes or index cards to carry with you. 5. Reach out to one person who might need your help during this holiday season. Find the time to embrace the present moment and gift of each day. 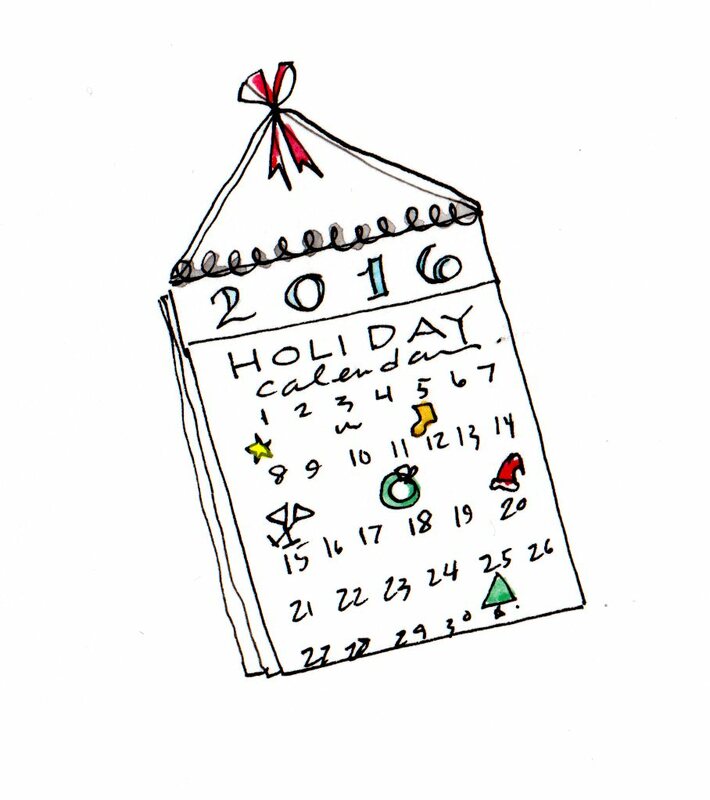 Don’t forget to make time for you for necessary appointments that will provide you with energy and a holiday glow.